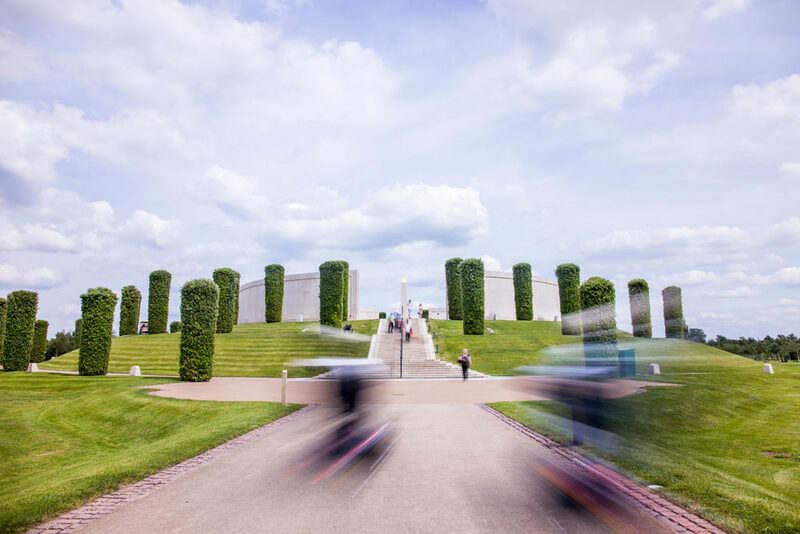 The National Memorial Arboretum is the UK’s year-round centre of remembrance; a spiritually uplifting place which honours the fallen, recognises service and sacrifice. 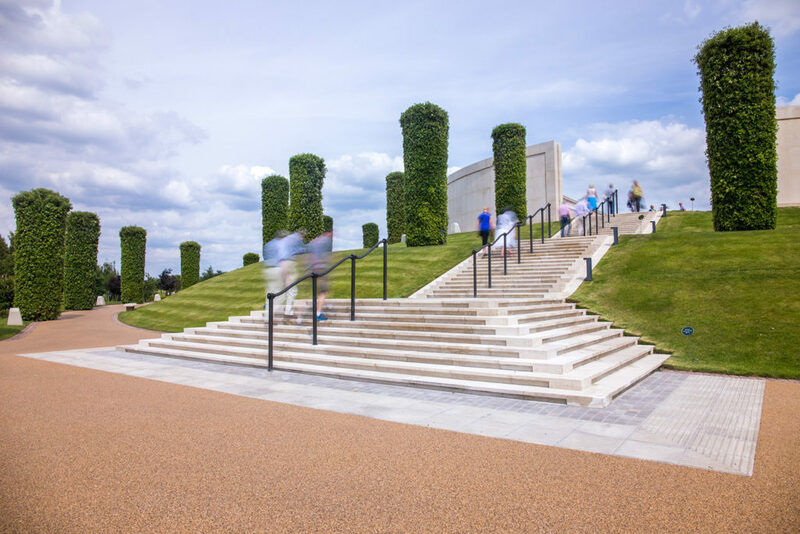 Sited in Staffordshire, at the heart of the UK, with 30,000 maturing trees and over 330 memorials, it is a beautiful and lasting tribute and a place for reflection and the celebration of life. 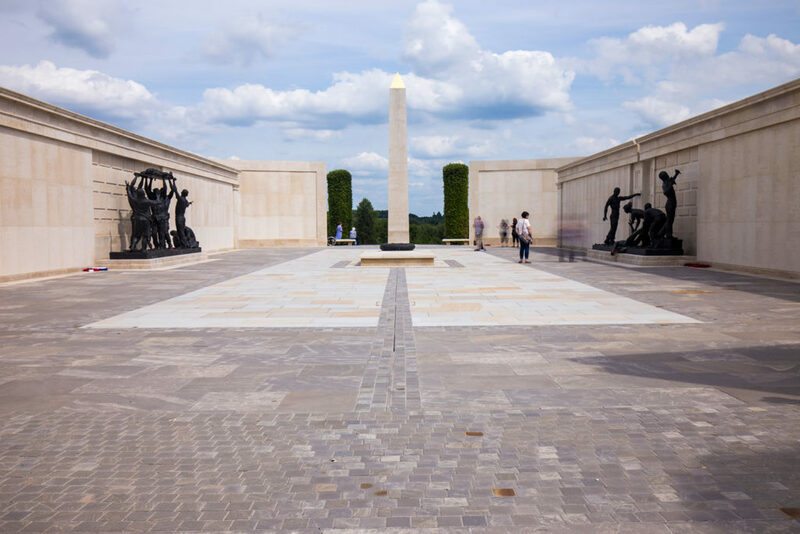 The National Memorial Arboretum was established in 1997 on reclaimed quarry workings between the River Trent and the Tame, in Alrewas, Staffordshire. 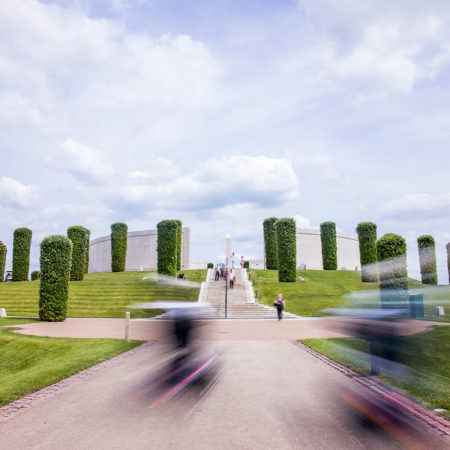 Located in the heart of the UK the 150-acre Arboretum contains over 30,000 trees and 330 memorials. 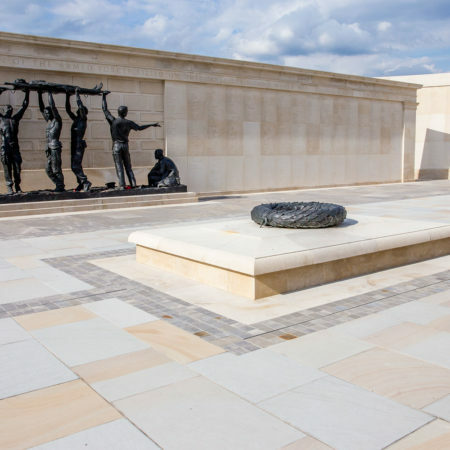 It is a living and lasting centre of Remembrance and memorial which honours the personal sacrifices made by the Armed Forces and Civil Services. 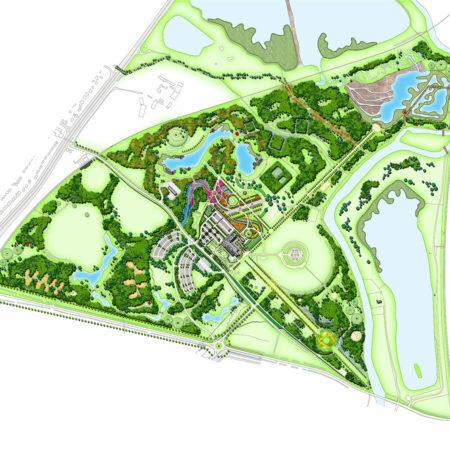 The Arboretum was originally conceived in 1994 by Commander David Childs CBE who wished to create a national site of Remembrance. 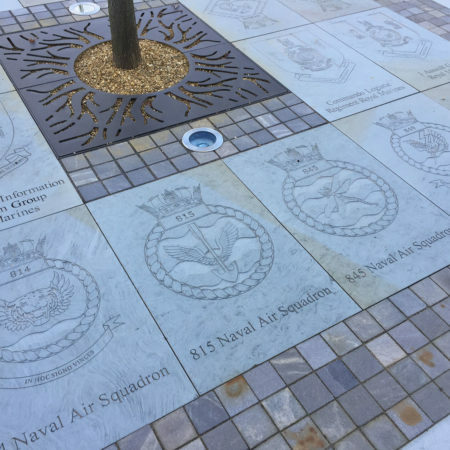 Trees have long been used in memorialisation. 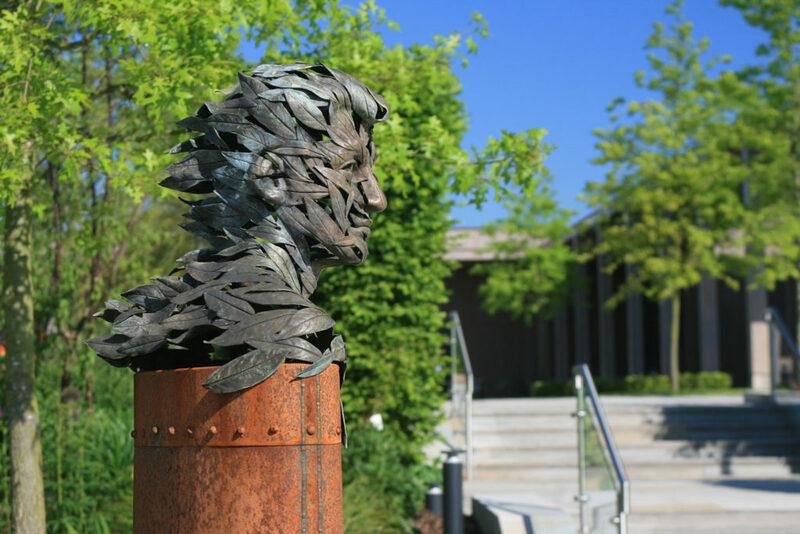 As living memorials, they honour the lives of the departed by emphasizing life rather than death. 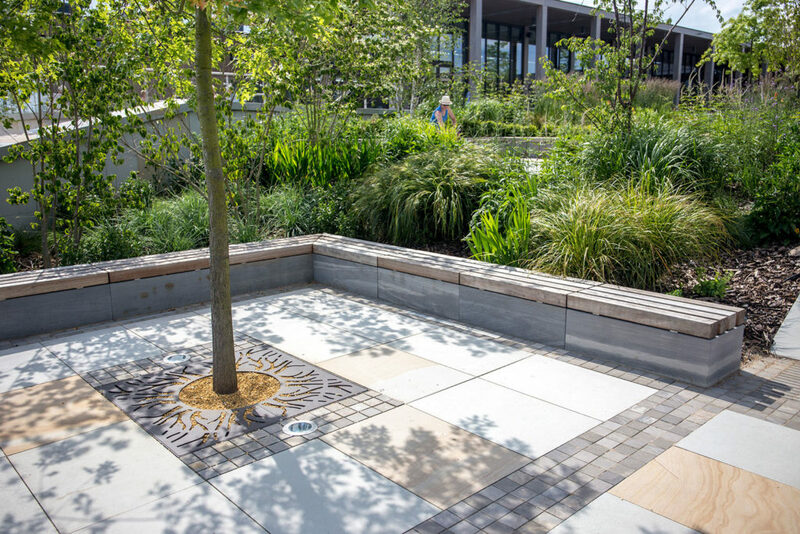 Combined at the NMA, the trees provide a harmonious place of natural beauty that bring a reflective and peaceable ambiance to visitors. 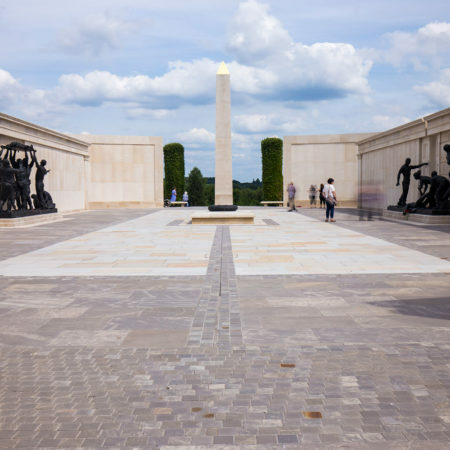 Today the NMA is independently run with support from The Royal British Legion. 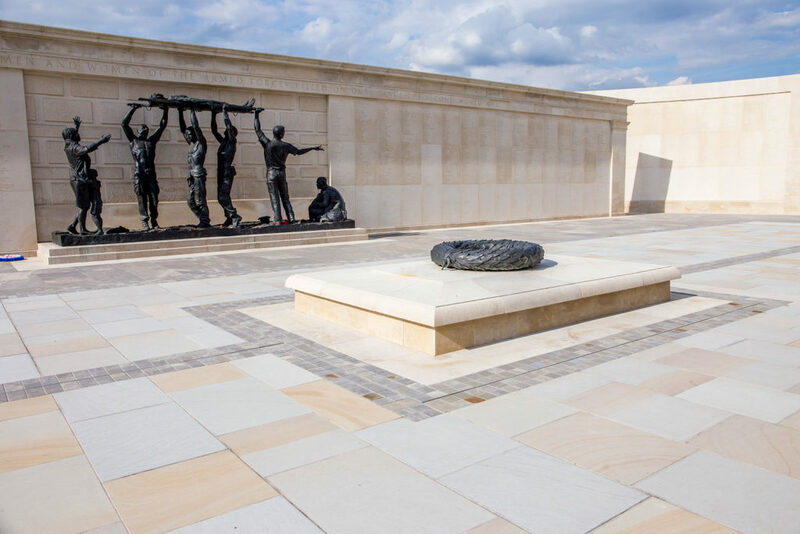 The new Remembrance Centre is the culmination of years of collaboration between the NMA and Fira. 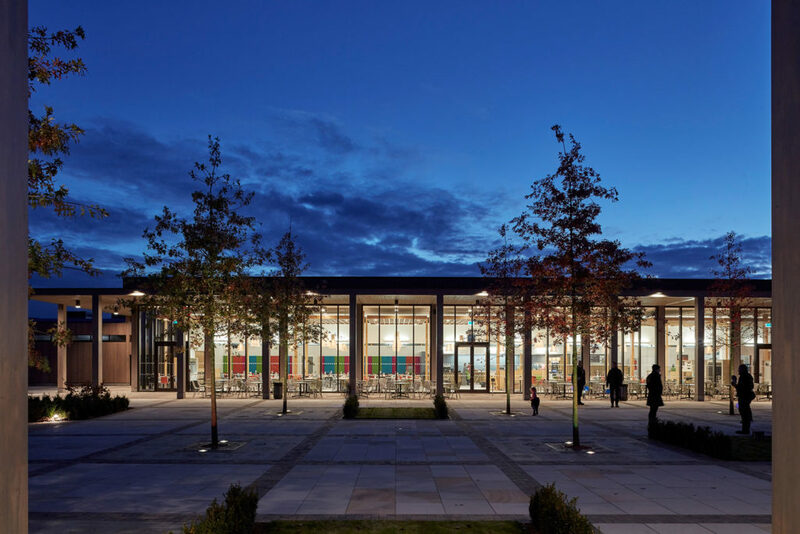 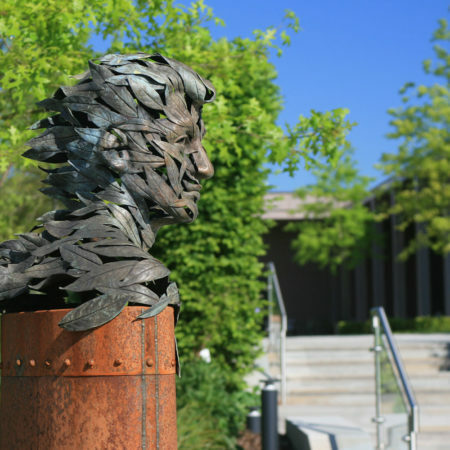 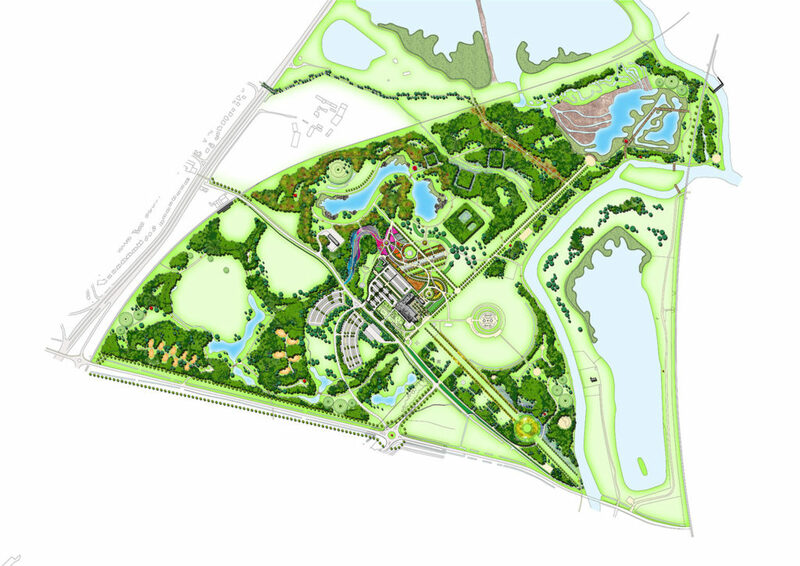 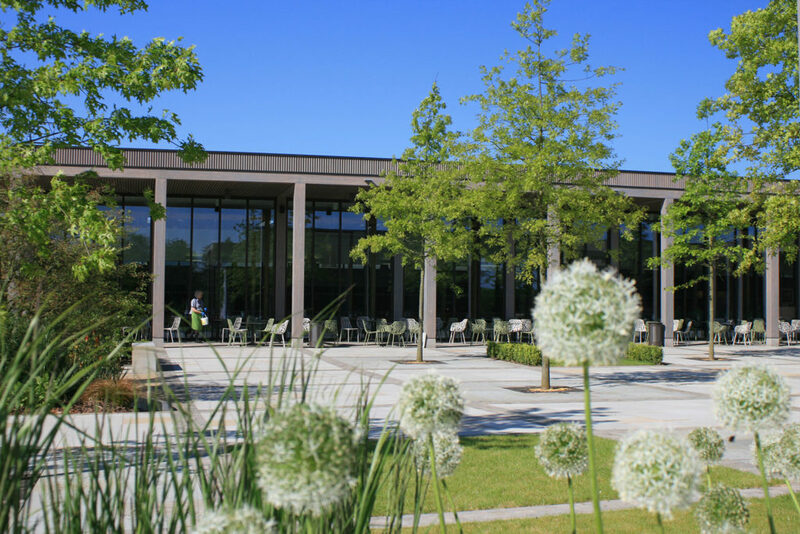 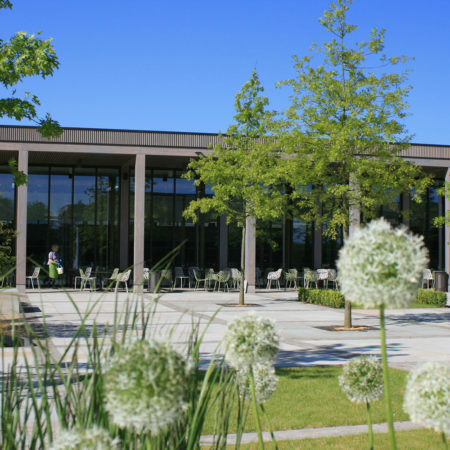 As the arboretum was about to about to embark on a new phase of development, Fira was commissioned in early 2009 to prepare a masterplan to structure the development of the Arboretum on its existing 150 acres and to plan for the future expansion. 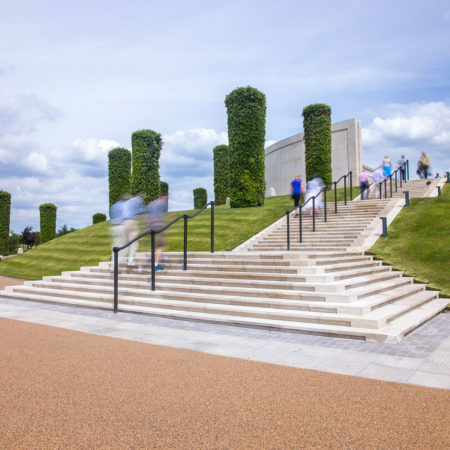 Since it opened in 2001 the National Memorial Arboretum had seen an unprecedented growth in visitor numbers from 12,000 to over 300,000 by 2009. 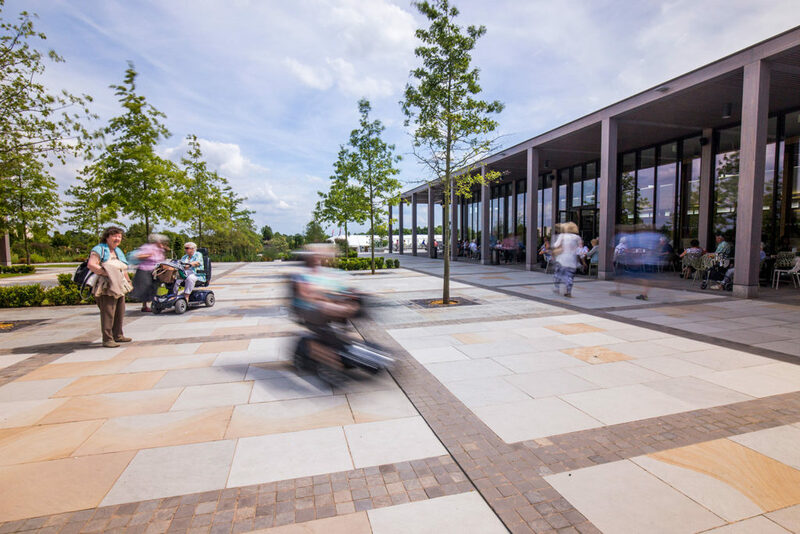 The increase in visitor numbers and a change in demographic provided the impetus for the creation of the NMA’s ‘Long Term Plan’ and masterplan which considered the site’s longevity and future aims. 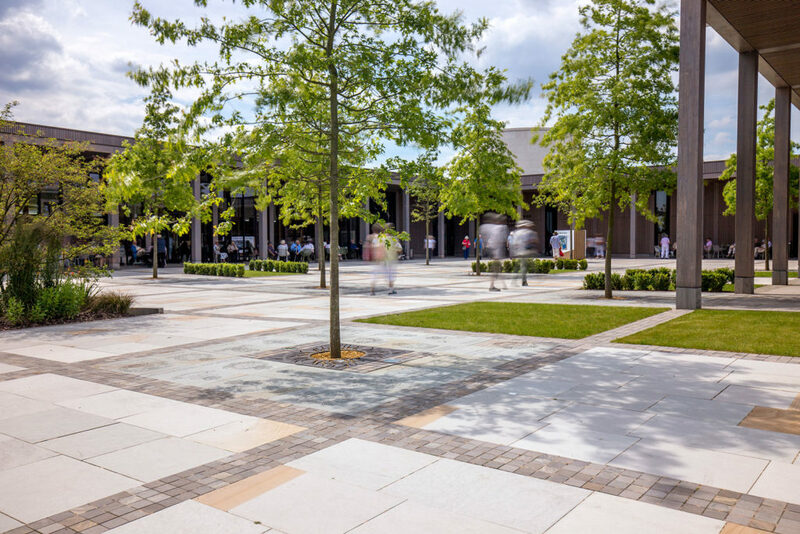 The plan quickly identified the need for a more engaging and informative visitor experience; to provide better circulation and to make better use of the existing buildings to maximise the potential to generate income. 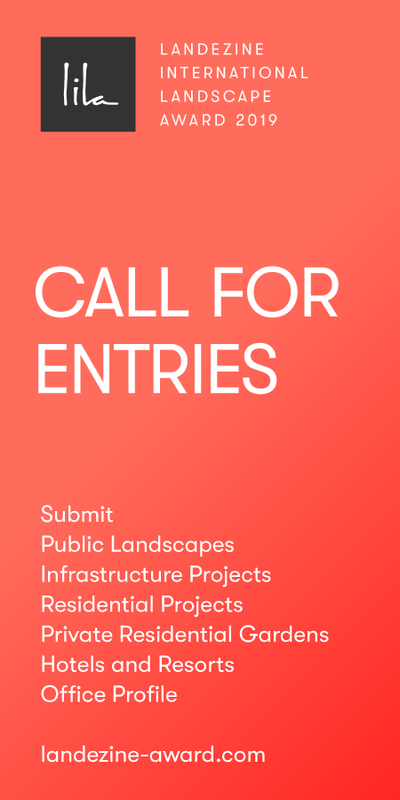 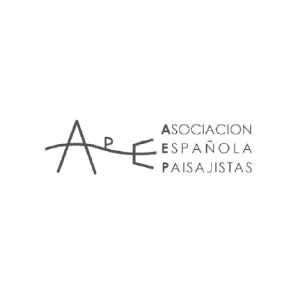 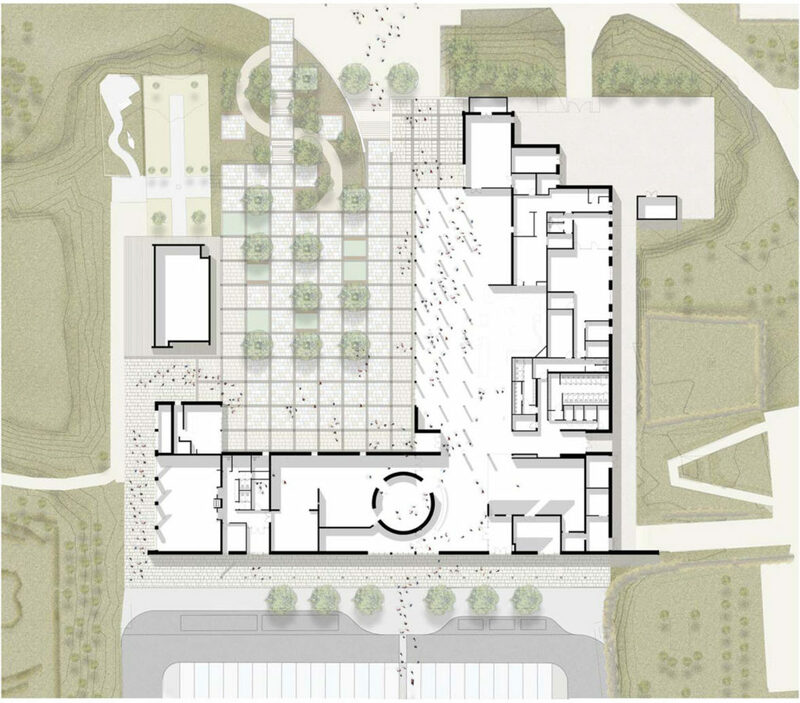 The brief placed considerable importance on the need for the buildings to relate to the Arboretum, making the synthesis of landscape and architecture pivotal to the success of the project. 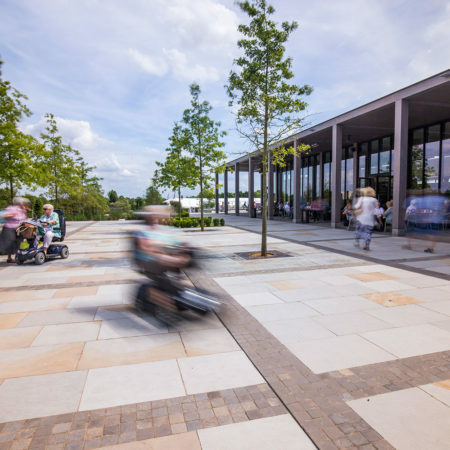 The scheme needed to provide an enhanced visitor experience for all visitors. 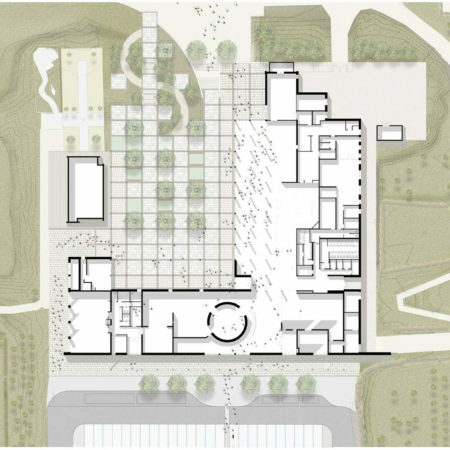 The landscape together with the building, needed to act as an introduction to the arboretum and serve as an orientation for visitors. 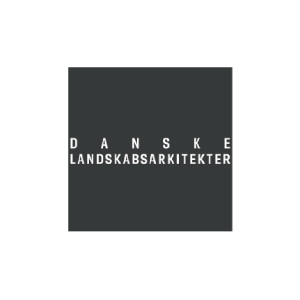 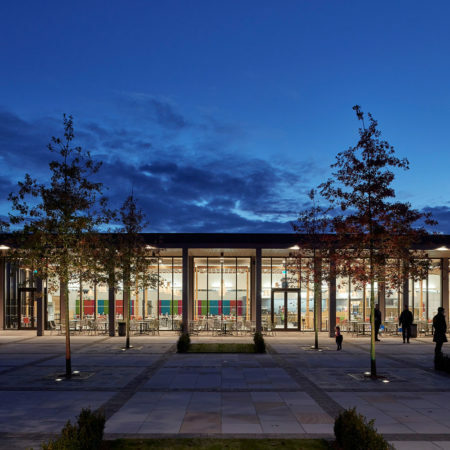 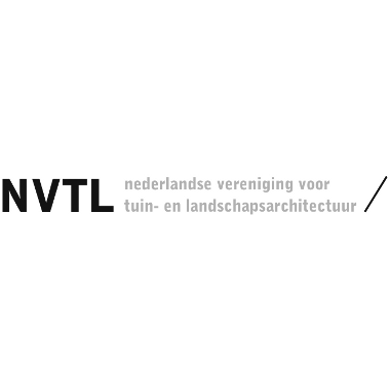 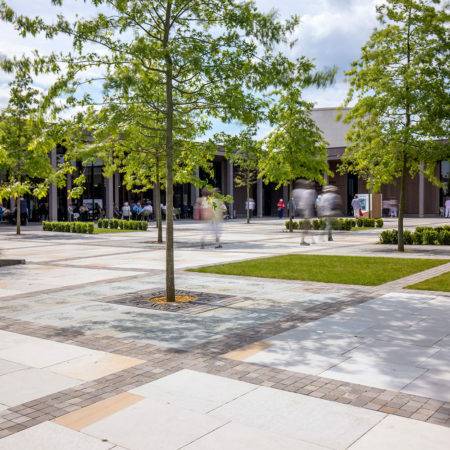 A simple selection of materials was chosen to complement the new and existing buildings and to set a palette for future developments and improvements. 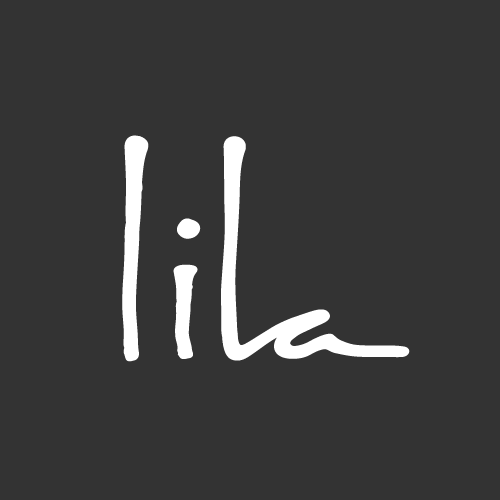 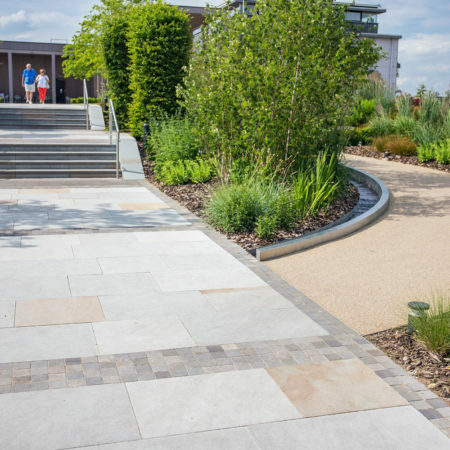 Materials include yorkstone paving/walling and setts, timber bench tops, cast iron tree grilles. 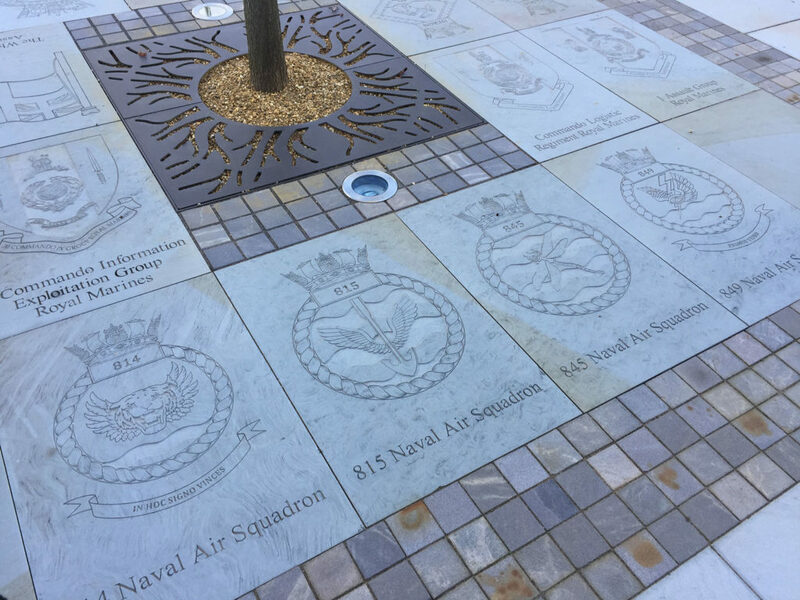 Heroes’ Square features commemorative paviours, engraved with cap badges or crests of the Royal Navy, the British Army, the Royal Air Force and City Livery Companies. 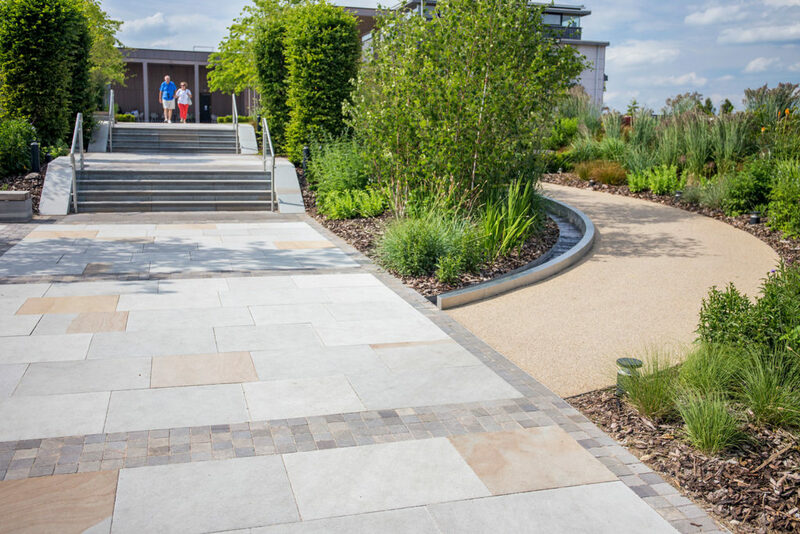 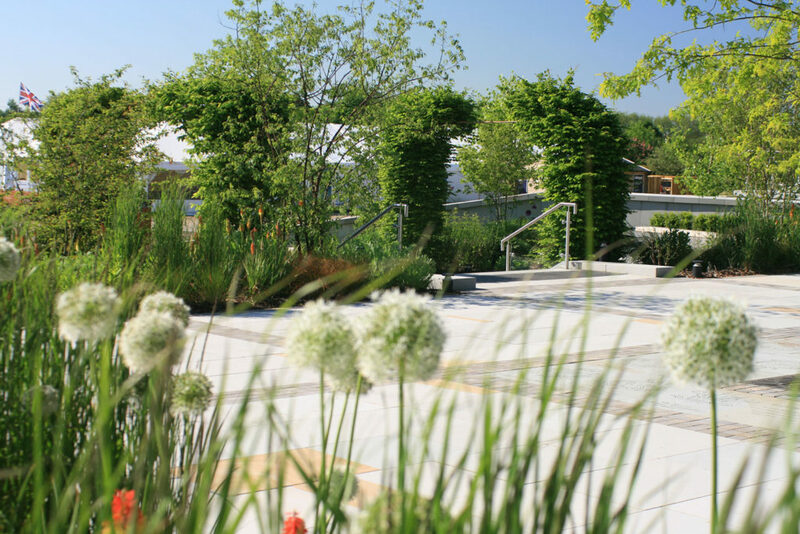 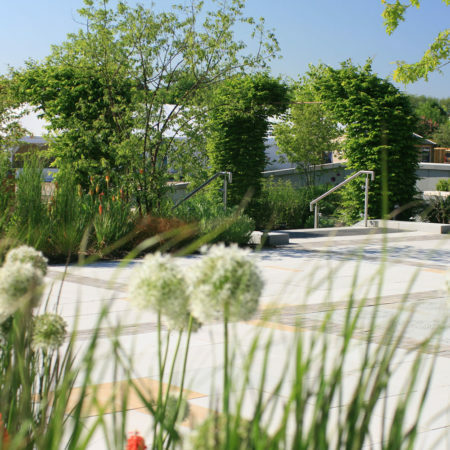 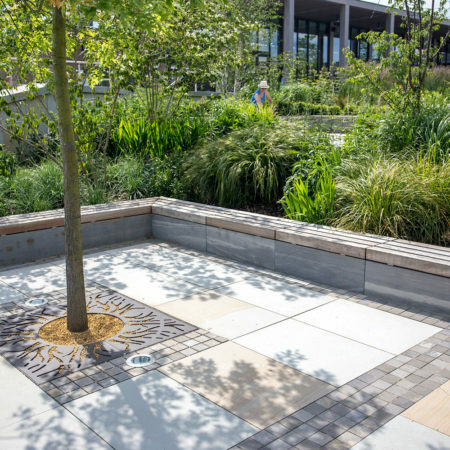 The planting scheme is based on a series of perennial mixes that are designed to create a transition from the built form of the Remembrance Centre to the wider arboretum. 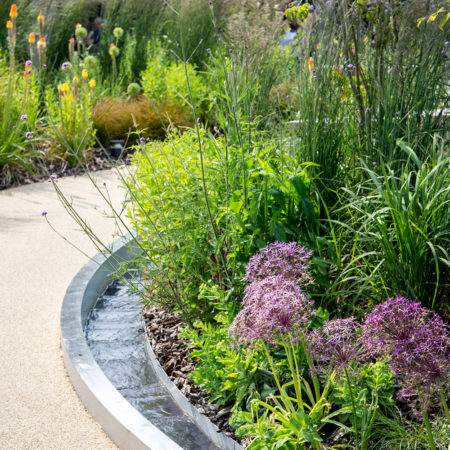 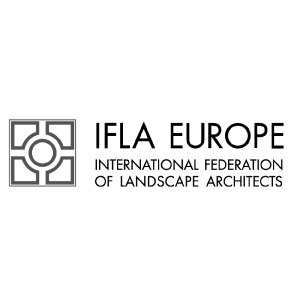 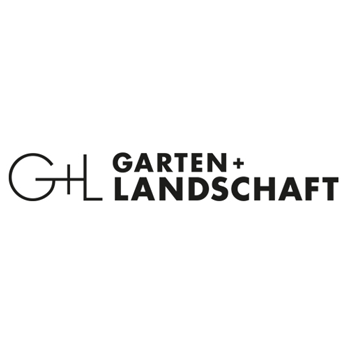 This has been developed to be in-keeping with the overall concept of the Transition Garden’s geometry, moving from the rectilinear to the organic form. 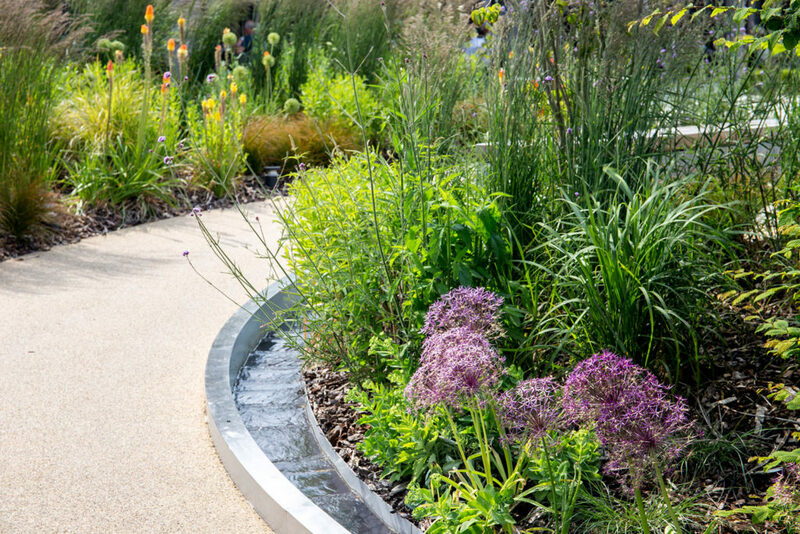 By specifying more architectural and upright species adjacent to Heroes’ Square, with a more informal prairie style planting towards Millennium Avenue, drifts of perennials blend into a colourful mix of seasonal interest.